But first, let me tell you a story about one of my worker's comp clients. We will call him "Dustin" and his wife "Laura." I met with Dustin and Laura a few years ago. Dustin called my office because he suffered a knee injury on the job a year before. He didn’t want to hire an attorney until he absolutely had to, which explained why he had waited a full year before seeking help. He wasn’t getting the medical treatment he needed to improve the pain of the injury, and his employer was being less helpful. During our meeting, I asked Dustin about his injuries. 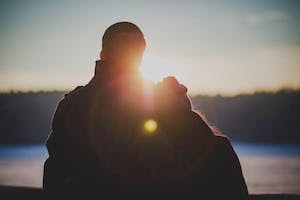 He said, “The pain is worse some days than others, but I can handle it.” He said no more than that. Boy, did I get a completely different story! Laura told me about his symptoms and how bad they REALLY were. “I’m the one that convinced him to finally call an attorney!” she said. That’s when I realized, if it wasn’t for Laura, Dustin might have never seen an attorney! He wouldn’t have had the expert help he needed to demand medical treatment his knee required. He might have been worse off if his wife hadn’t insisted he meet with an attorney. With our help, Dustin was able to finally receive the surgery he needed for his knee. I thanked Laura for being a hero and helping her husband find the help he needed. So here is a favor I wanted to ask... if you have friends or family that have been hurt on the job and haven't called an attorney yet, let them know about my workers’ comp book! I’d be happy to send it to anyone that needs it, absolutely free! The information in my book could help your friend or family member make good legal decisions about their situation. 1) Call my office at 407-648-4940. A friendly member of my team will answer your call. 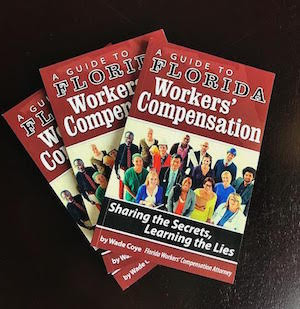 Just let them know you’d like to request a copy of Wade Coye’s workers’ comp book, and they will take down your name and mailing address, and put the book in the mail that day. 2) Text my office at 407-648- 4940. Write in your text that you would like to request a copy of the workers’ comp book. Don’t forget to include the name and mailing address! 3) Go online to FreeWorkInjuryInfo.com. Here, you can fill out a form to request a copy of my book. You will receive a confirmation email after submitting your request, and the book will be mailed out the next business day. As always, you can give Coye Law Firm a call anytime if you have any questions. My team and I are standing by and look forward to helping.